“An authentic rendition of Hasidic spiritual guidance” —Rabbi Zvi Leshem, Gershom Scholem Library and Congregation Shirat Shlomo. ​Hello! My name is Yaacov David Shulman, and I'm a creative writer, translator and editor. I so much liked your perfect Little Psalms, some of them so much in the spirit (and often the language-of-feeling) of Yiddish poetry. You've created a fine amalgam of the American tongue and its sensibilities, and your new/old yeshiva explorations. —Cynthia Ozick, winner of the PEN/Nabokov Award, 2008. 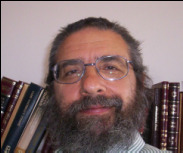 Yaacov David Shulman is a master translator who is able to capture the language, the poetry and the beauty of Rav Kook’s Hebrew, which is often very difficult to read in the original, even by people who are very literate in Hebrew. —Rabbi Dr. Tzvi Hersh Weinreb, president emeritus of the Orthodox Union (OU). My Translating: great spiritual Jewish texts by Rav Kook, Rabbi Nachman of Breslov, the Piaseszner Rebbe, and others. Click here to join the mailing list and get the latest updates or to hire me to edit or translate your work..
Why Are We Here, Bringing More Boxes? Should I Go to the Concert? What Tells the Cell to Be a Cell? Does Knowledge Make Man Happy? Has Any Mind Imprisoned You? ​"Arrow..." in which I take "An Arrow that Shoots" and transform it into a poem with an A-A-A rhyme scheme, in which the rhyme appears in the first, middle and last word of each three line stanza (each time in a different order). "An Arrow that Shoots"--where I take "There in the Heavens," based on a Pablo Neruda poem, and transform it into a series of "choka" poems. A few "choka" poems and two "sedoka" poems (both Japanese forms). A few poems in the Japanese "tanka" style: lines with syllable counts of 5, 7, 5, 7, 7. A few poems experimenting with alliteration, assonance and rhyme schemes. Likutei Moharan Hamevuar: Teaching 3, Complete! Prologue to Likutei Moharan, with the commentary of Likutei Moharan Hamevuar. Rabbi Aryeh Levin ("A Tzaddik in Our Time") wrote a brief biography of his father-in-law, Rabbi Shlomo Elyashiv, author of the Kabbalistic classic, Lechem Shevo Ve'achlamah. It appears here for the first time in English.